Why is the mind designed the way it is? How does input from the environment interact with the mind to produce behavior? These are the big, unanswered questions that the field of evolutionary psychology seeks to explore. 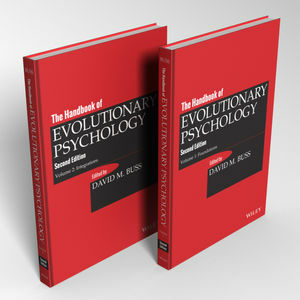 The Handbook of Evolutionary Psychology is the seminal work in this vibrant, quickly-developing new discipline. In this thorough revision and expansion, luminaries in the field provide an in-depth exploration of the foundations of evolutionary psychology and explain the new empirical discoveries and theoretical developments that continue at a breathtaking pace. Evolutionary psychologists posit that the mind has a specialized and complex structure, just as the body has a specialized and complex structure. From this important theoretical concept arises the vast array of possibilities that are at the core of the field, which seeks to examine such traits as perception, language, and memory from an evolutionary perspective. This examination is intended to determine the human psychological traits that are the products of sexual and natural selection and, as such, to chart and understand human nature. 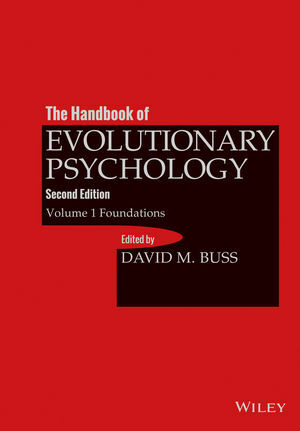 The Handbook of Evolutionary Psychology is the definitive guide for every psychologist and student interested in keeping abreast of new ideas in this quickly-developing field. David M. Buss, Phd is the author of more than 200 scientific articles and six books. He has won numerous awards including the American Psychological Association (APA) Distinguished Scientific Award for Early Career Contribution to Psychology (1988), the APA G. Stanley Hall Lectureship (1990), the APA Distinguished Scientist Lecturer Award (2001), and the Robert W. Hamilton Book Award (2000) for the first edition of Evolutionary Psychology. He is also the editor of the first comprehensive Handbook of Evolutionary Psychology (2005, Wiley). He enjoys extensive cross-cultural research collaborations and lectures widely within the United States and abroad.